Hip-hop artist Bay Blue spent seven years sampling, experimenting, and field-recording to make his self-titled avant-garde jazz album. Bay Blue's various influences reflects Oakland itself. Bay Blue, the self-titled album from 35-year-old producer Matt Chang, is an album both inspired by, and a soundtrack to, Oakland. Artistically, it's an avant-garde mashup — a reconciliation of Chang's sampling hip-hop roots with the jazz, blues, and big band that emanates from the rubble of Oakland's past and which still influences the street culture of Oakland's present. Chang conceptualized the album in 2005 and spent seven years making four albums' worth of songs that he eventually whittled down to eleven short tracks. The result is an album that transcends time and genres, defying simple definition as much as the city it aims to capture. "I didn't set out to make avant-garde jazz," said Chang. "A lot of time I didn't know what I was doing. Many of these songs in a very organic way took on the form of jazz numbers, with frequent tempo changes, subtle and shifting drums, minimal effects, and something like the thrill of improvisation." When Chang speaks about Bay Blue, he could be talking about Oakland itself: "I don't know what its place is. It's not for everybody." Chang doesn't come from a jazz background. Born and raised in Pacifica, he moved to Oakland in 2004 to immerse himself in the underground hip-hop scene. 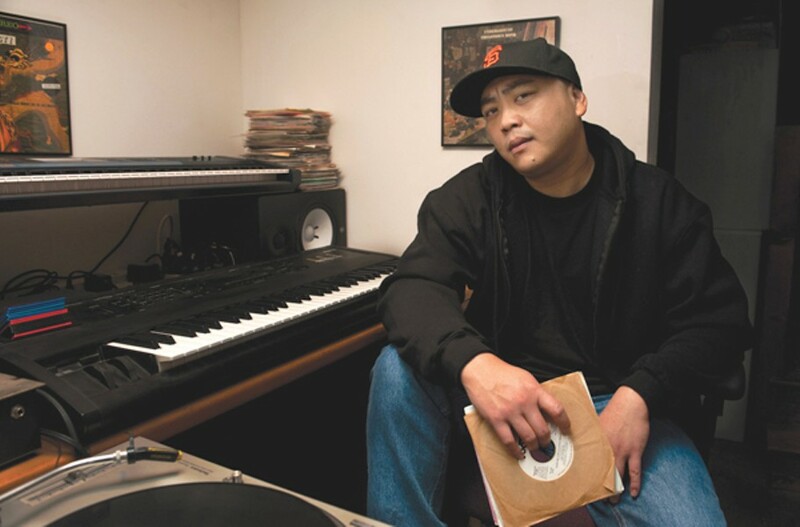 Through friend P-minus (aka Paul Gembus), who ran ATAK — a mail-order hip-hop catalog that was instrumental in supporting emerging East Bay artists — Chang began making music and living intermittently in a house near Lake Merritt with Yoni Wolf. Wolf is a founding member of indie hip-hop label Anticon, which released Bay Blue, and is the man behind Why?, a project Chang has contributed to in the past. 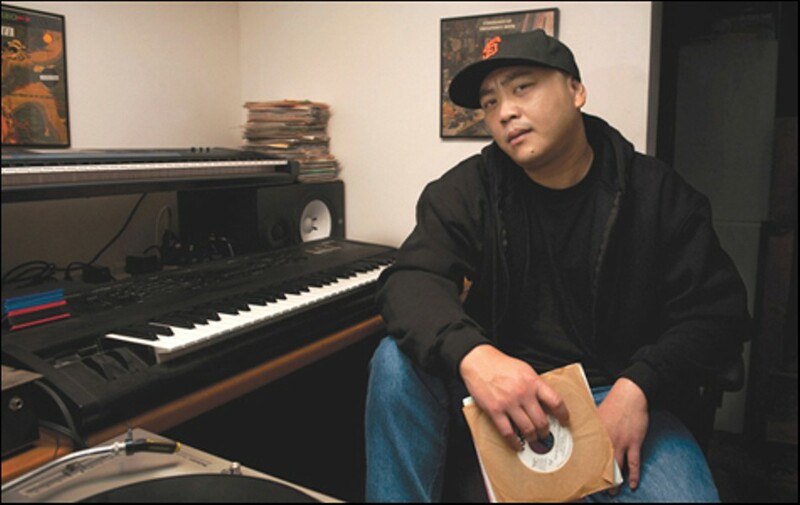 It was the halcyon days of East Bay underground hip-hop, and Chang mostly busied himself making downtempo and dark electronica. But everything changed when he began working at a Louisiana-style fish fry in West Oakland named Dirty South Joe's. The restaurant had a barbershop-style conviviality and would turn out for Chang to be a swinging door on Oakland's African-American culture — musically and otherwise. In the mornings, he'd drive to work at the restaurant alongside residents whose families had lived in the neighborhood for generations. Out the window, he watched dice games and crack dealers. At work, patrons were pointing him to the blues, roots, and jazz of 7th Street and beyond. Chang was introduced to an entirely new musical lexicon. "Suddenly, everything I was listening to was out of context," he said. Soaked in new sounds, Chang sat down at his ancient ASR-10 and began sampling, experimenting, and field-recording around the city and beyond. In 2005, Chang recorded the protests outside the San Quentin death chamber where Stanley Tookie Williams was to be executed. Preachers bellowed over the whirr of police helicopters and African drums. Chang intercut the recording with Gary Peterson's cover of Big Bill Broonzy's "Hey Hey Baby." The resulting track, "(Hey Hey) Fried Fish, Birds Blue," is a folky, bluesy, and discordant battle cry rich with sociopolitical implications. Bay Blue also gets personal on tracks such as "Only A Sin If You Lose," with a series of lamenting voicemails from Chang's father that are woven into a jazzy collage about gambling. Chang uses those field recordings rather than singing or rapping himself, and it's ultimately that lack of a single voice unifying the album that helps it capture the texture of Oakland. "In straining for a substitute for the emcee (or vocalist), it felt natural to study jazz musicians and the way instruments can become vocalizations," Chang said. "I feel vocalists keep saying the same thing over and over .... I thought I could say more without words than with." In 2011, Chang's wife, Karna Kurata — a photographer renowned for her series on Oakland's scraper bike culture — introduced him to the turf dancing crew Turfin' 24/7. Turf dancing originated in the Sixties in Oakland as a representation of specific neighborhoods, and its popping, locking, and miming still work to tell stories about community. Chang and Kurata produced a video of the dancers, sometimes shot as silhouettes, moving through the streets of West Oakland. Chang used the beautiful and bleak footage as the video for "Take it Back Time," a song memorializing the re-occupation of Frank Ogawa Plaza days before Oakland's general strike on November 2, 2011. "Turfin' embodies the restless inventiveness of African-American youth and working-class culture, especially in Oakland," said Chang. Bay Blue, much like the city it celebrates, is an ever-changing landscape of what Chang calls "bright tones and quick cuts": It's nostalgic, but trendsetting; improvisational, but punctiliously erected; heavily mechanized, but thoroughly humanizing. Bay Blue's searching and restless quality, even when it makes for a disjointed album, allows for Chang to say more than any neatly packaged songs could. "There's confusion and conflict that can't be put into words," said Chang. "Everyone's fighting for what they believe in, and no one knows what will happen in the end."